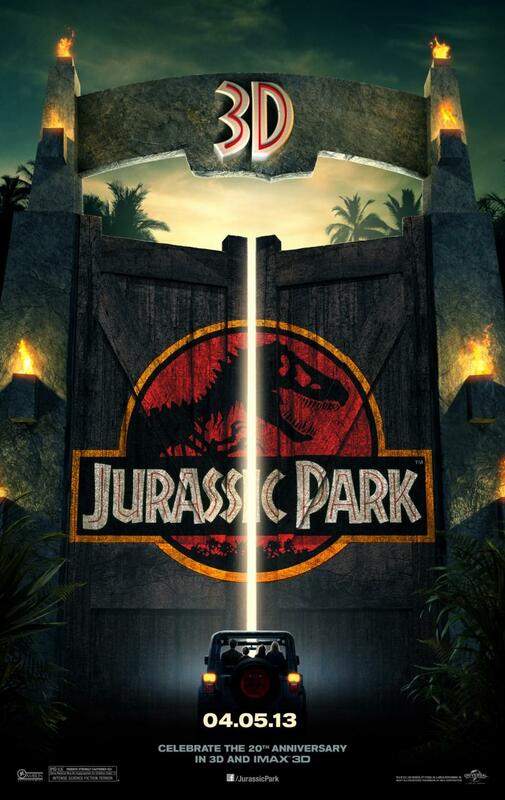 Synopsis: Universal Pictures will release Steven Spielberg’s groundbreaking masterpiece Jurassic Park in 3D on April 5, 2013. With his remastering of the epic into a state-of-the-art 3D format, Spielberg introduces the three-time Academy Award®-winning blockbuster to a new generation of moviegoers and allows longtime fans to experience the world he envisioned in a way that was unimaginable during the film’s original release. 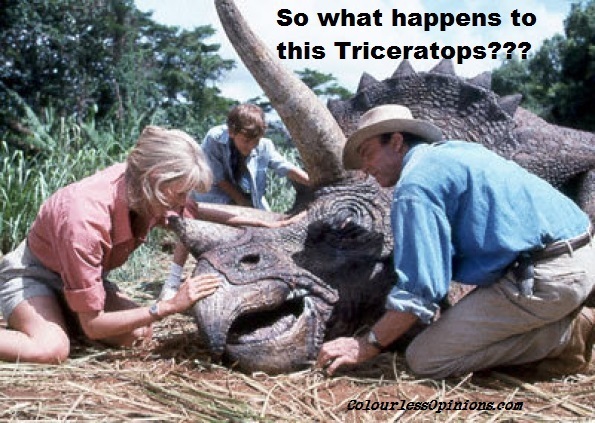 Verdict: After 2 decades, there still isn’t any other film with dinosaurs looking as real as Jurassic Park. If you don’t remember the film too well, you might just enjoy revisiting this thrilling, magical tour around this dinosaur zoo once again. It’d probably even feel that it’s too short this time around (well it actually really is if compared to the original novel). Despite its flaws and cheesiness we didn’t realise when we were younger, it’ll forever be an awesome classic to us all, thanks to the Spielberg touch, unforgettable music scores by John Williams and the still-good special effects. Although this 3D-converted re-release does not add any extra magic to the film, it gives the people another opportunity to catch it at the cinema. Second opinion: “It’s still very nice to watch after so many years; some of the scenes still managed to scare me” (girlfriend). To watch in 3D? The 3D conversion really doesn’t add much to the film. 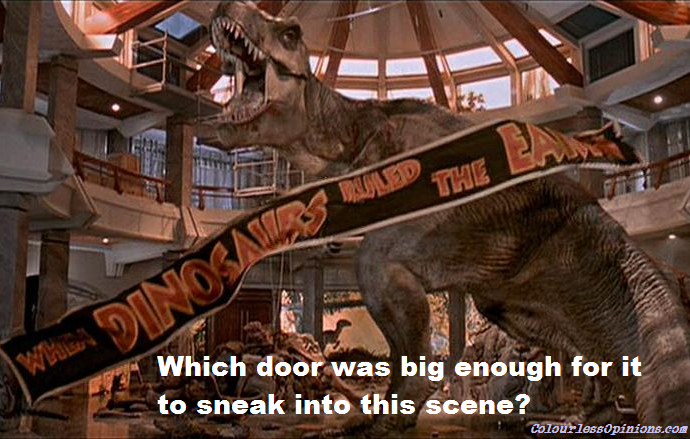 The polished visuals actually make the dinosaurs look less real in some scenes, and the people look rather cardboard-ish. 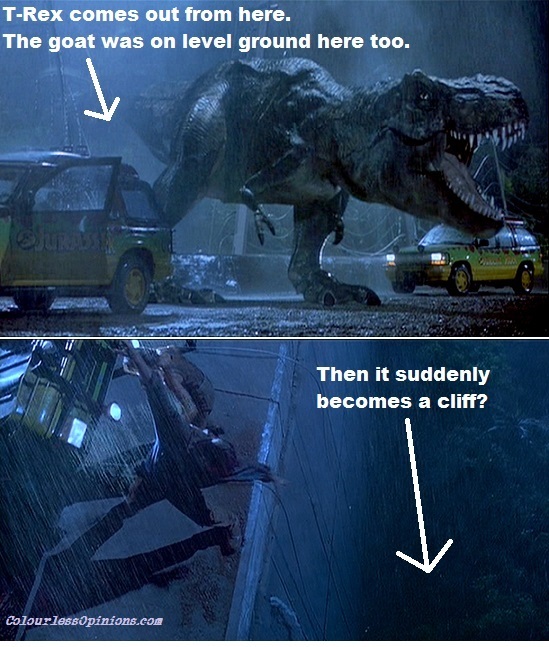 And most disappointingly, the scenes with T-Rex are the ones with the least 3D impact. Follow me on Facebook and Twitter to receive updates on upcoming movie reviews. That cliff is an obvious flaw haha! 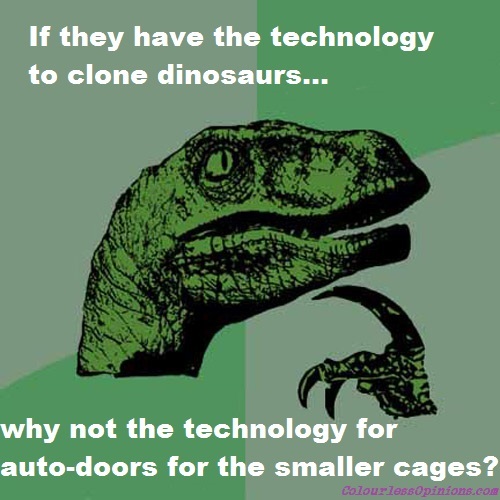 But I am wondering what they will do for JP4.